Posted on April 11, 2016 Posted in Cakes	. If I could only pick one spread to have on toast in the morning it would hands down have to be Nutella. It’s hard to top the flavour pairing of chocolate and hazelnuts. And as it’s been some time since I baked with this ingredient (and since I baked with alcohol for that matter), I decided to go hazelnut crazy and produce a recipe that celebrates the amazing flavour that is hazelnut. Taking some inspiration from my favourite dessert of all time (Tiramisu) and from chocolate mousse I came up with a choc hazel mousse cake. How does this celebrate the hazelnut you ask? The base and sides of the cake are sponge biscuits soaked in Frangelico (hazelnut liquor), Nutella is layered throughout the mousse and chopped hazelnuts is scattered on the top of the cake. Definitely a must try for a decadent celebration cake! 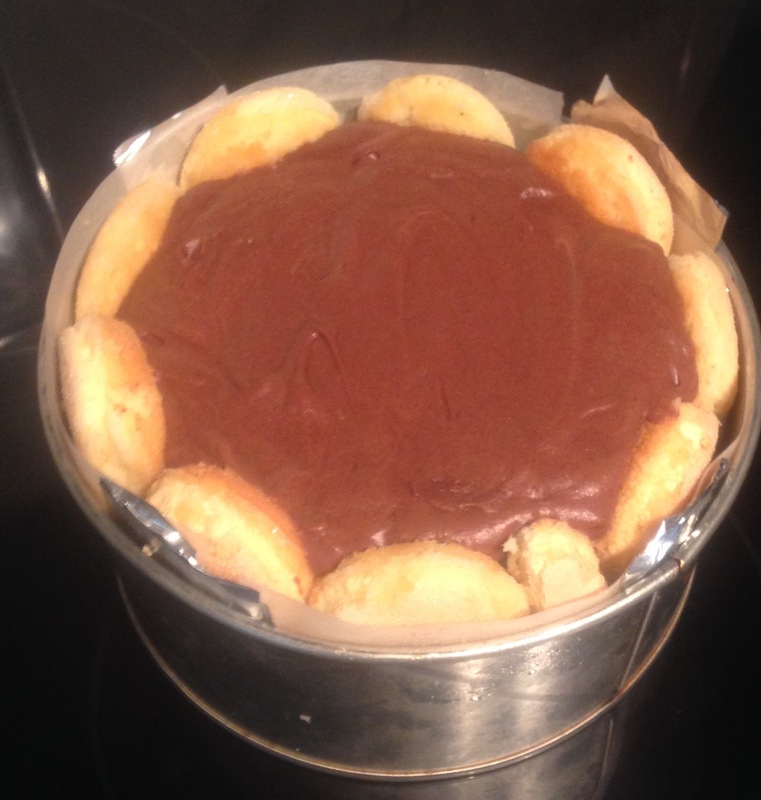 Grease and line a 25cm spring form cake tin with baking paper. Cut approx. 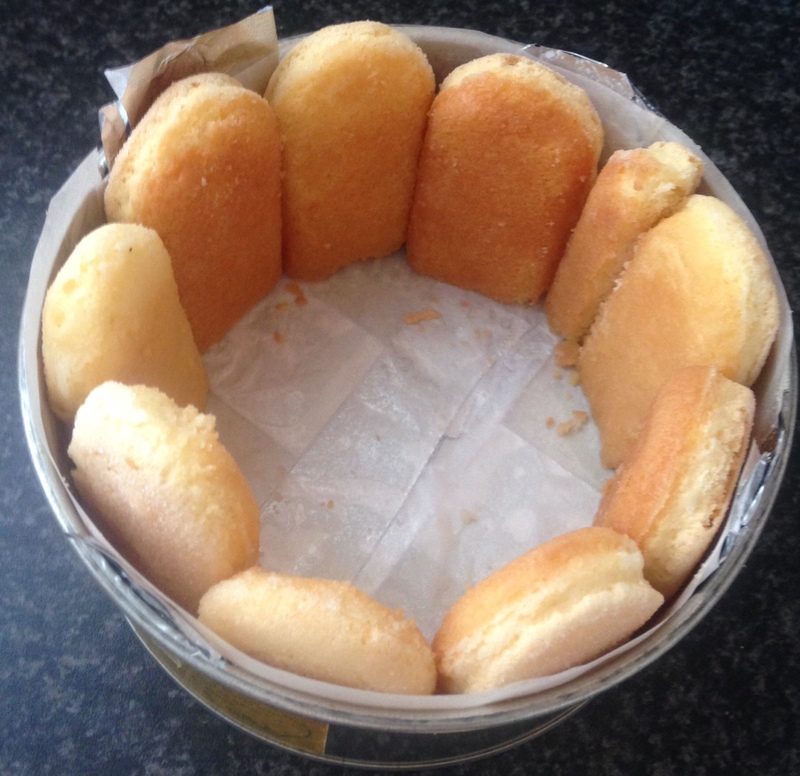 2cm off the bottom of all the biscuits until they are slightly higher than that the tin. Place the 100ml Frangelico into a bowl and dip the biscuits into the liquor until all the liquor is used up. Be sure to only dip them for a moment as you don’t want to soak the biscuits completely. Line the biscuits, soaked size on the inside of the cake and cut side on the bottom of the tin until the whole outside of the cake is boarded with biscuits. Now line the base of the tin with further biscuits until completely covered. 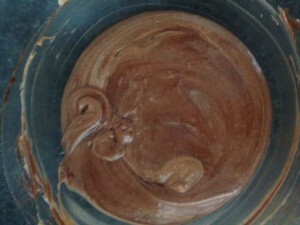 Place the chocolate, hazelnut spread and milk into a saucepan on a low heat. 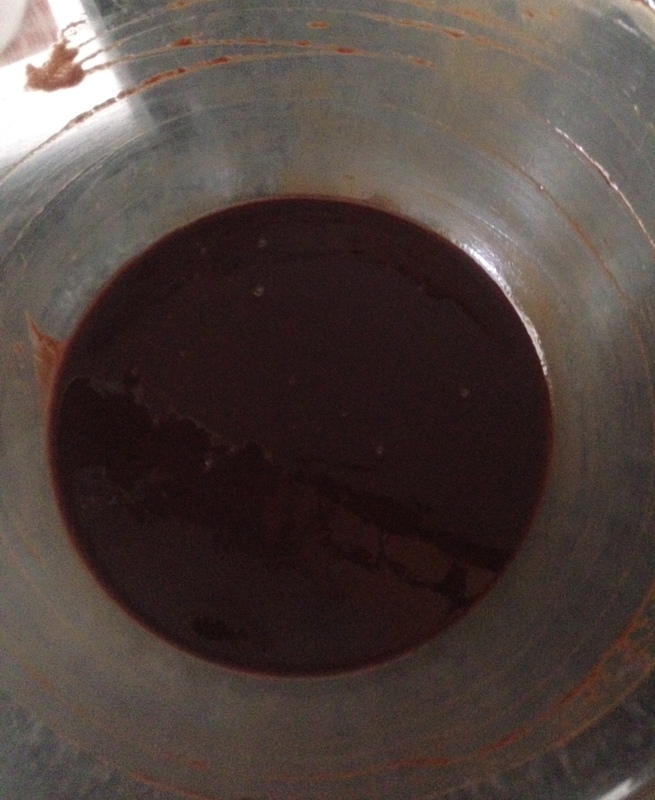 Stir the mix until smooth and combine. Stir in the butter and 40ml of Frangelico until combine and glossy. Remove mix off the heat and allow to cool slightly. 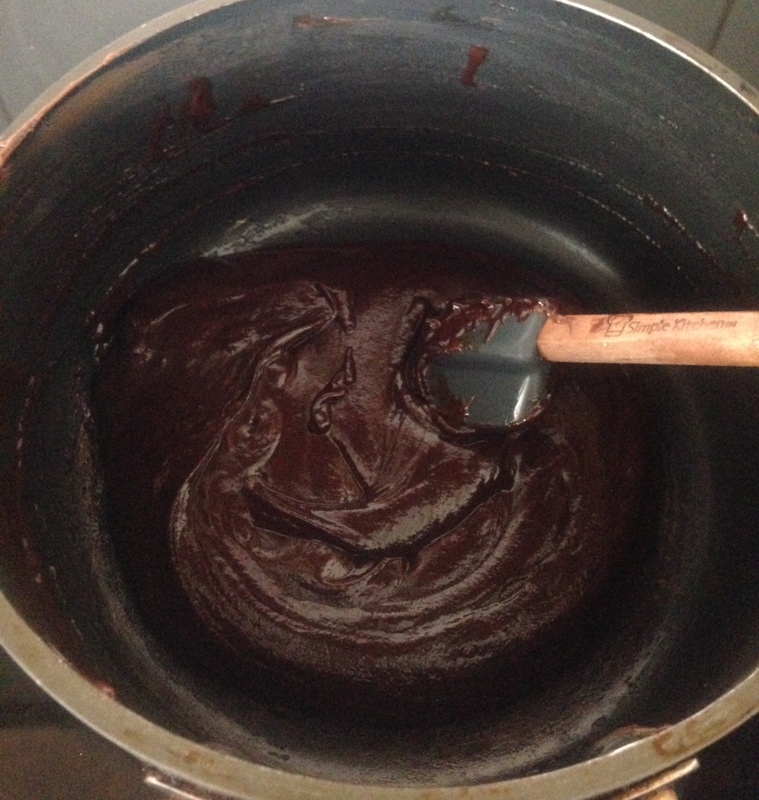 Add the egg yolks into the chocolate mix and beat until smooth. 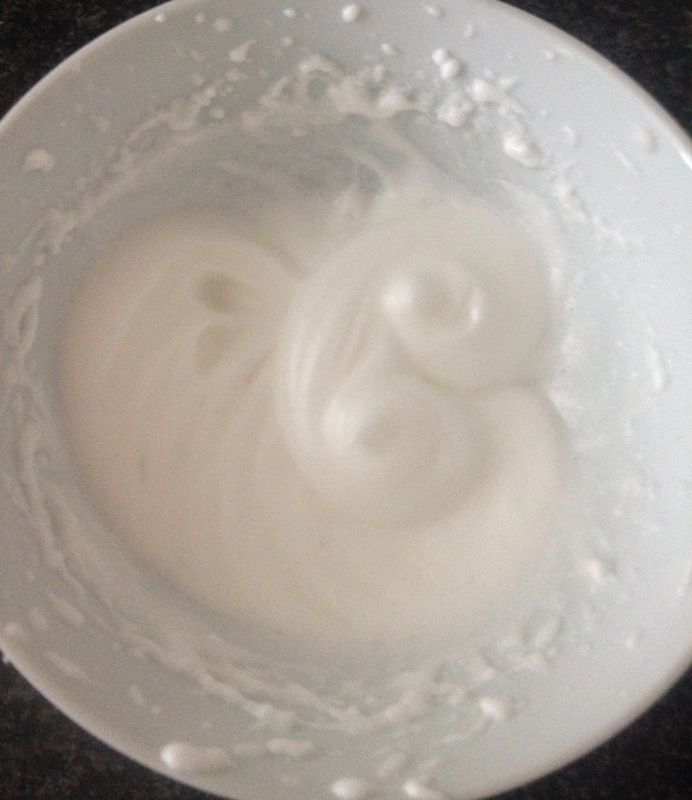 In another bowl beat the egg whites until soft peaks form. Add the sugar and beat until glossy and thick. 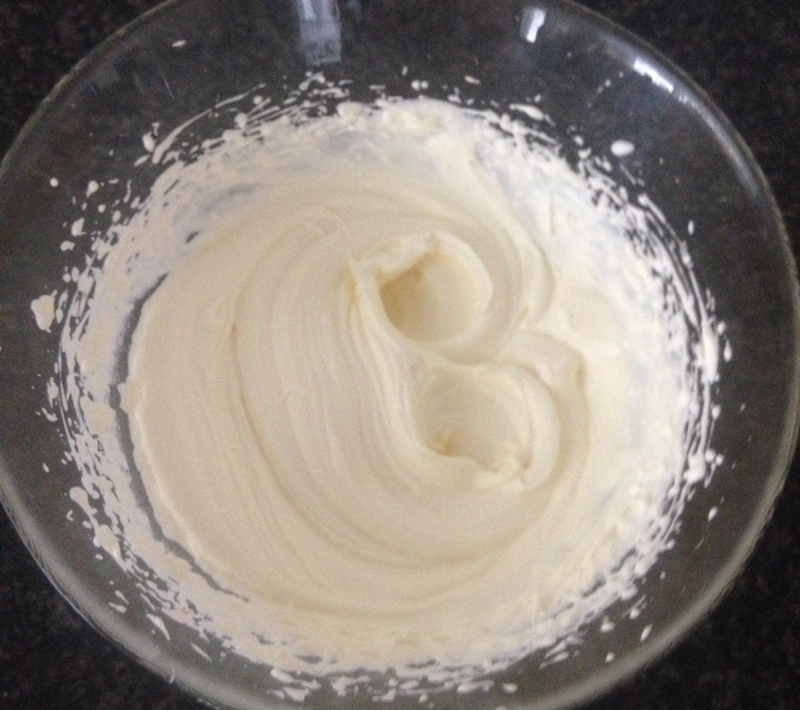 Using electric beaters beat the cream until peaks form. 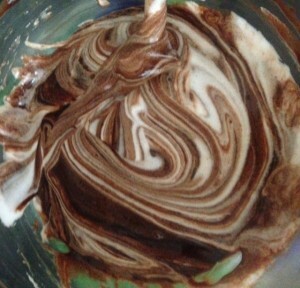 Fold a third of the egg white mix into the chocolate mix to loosen the mix. Add the remaining egg whites and fold until combine. Add the cream and fold until combine. 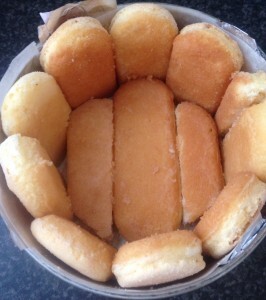 Pour into prepared tin on top of the biscuits. Smooth the top and place in the fridge to set until firm (overnight preferred). 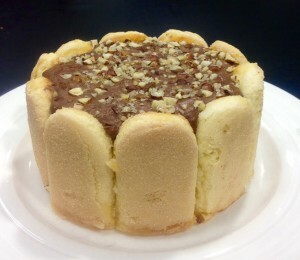 Tags: Frangelico, Frangelico and Nutella Charlotte Cake, Nutella	.